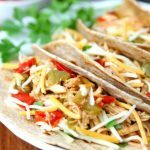 Slow Cooker Chicken Fajitas – In just 5 minutes, these delicious chicken fajitas are cooking in the slow cooker. An easy dinner that is sure to become a family favorite! It’s Taco Tuesday on our street which means we get together with our neighbors and have tacos and margaritas. I’m in charge of making the taco meat. I usually make chicken in the slow cooker with taco seasoning and chicken broth. 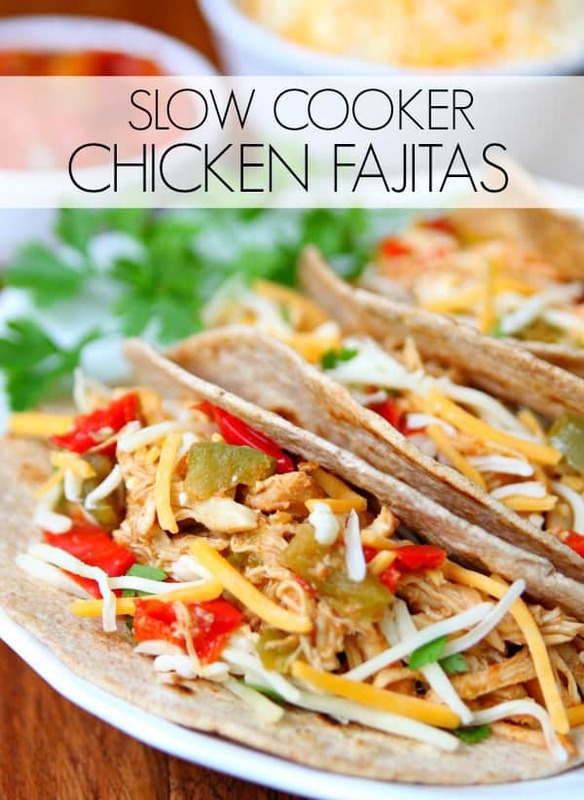 But today I’m switching it up a little with Slow Cooker Chicken Fajitas. And guess what? 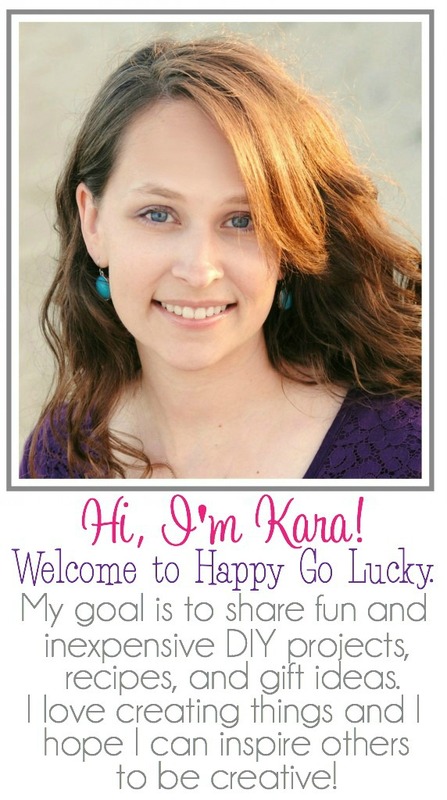 This is just as easy to make! We will be having fajitas once a week now that I know how easy they are to make. Add this delicious chicken to toasted tortillas along with your favorite fajita toppings and you’ve got a perfect dinner. And when I say perfect – I mean easy and delicious. I promise you that your entire family will enjoy this recipe and you’ll love it because it only takes a few minutes to make. Yum! Another successful slow cooker meal added to the list. This is going to be my go-to dinner when I don’t know what to cook. And it will be perfect during these summer months when we are hanging out at the pool all day and I don’t want to cook. 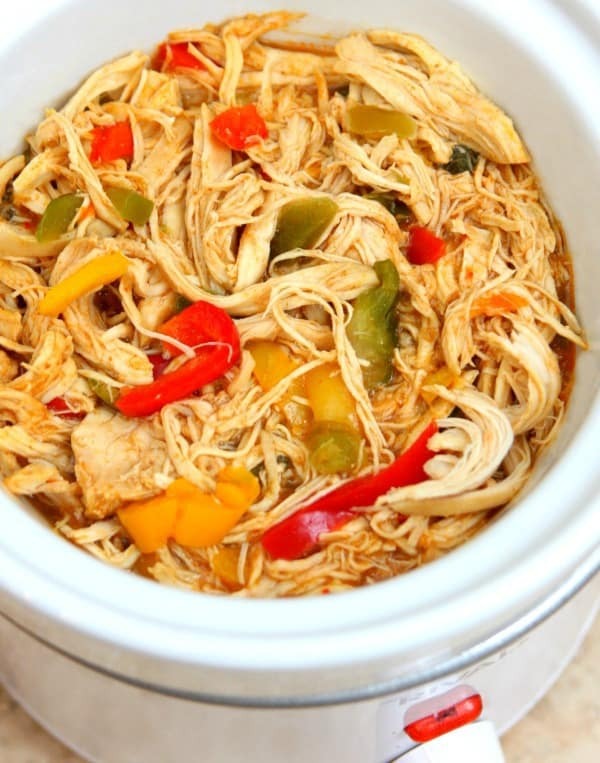 Add chicken, seasoning and chicken broth to slow cooker. Cook on low for 6-8 hours or high for 4 hours. Add frozen veggies about 30 minutes before serving. Use two forks to shred chicken. Mix veggies and chicken together.